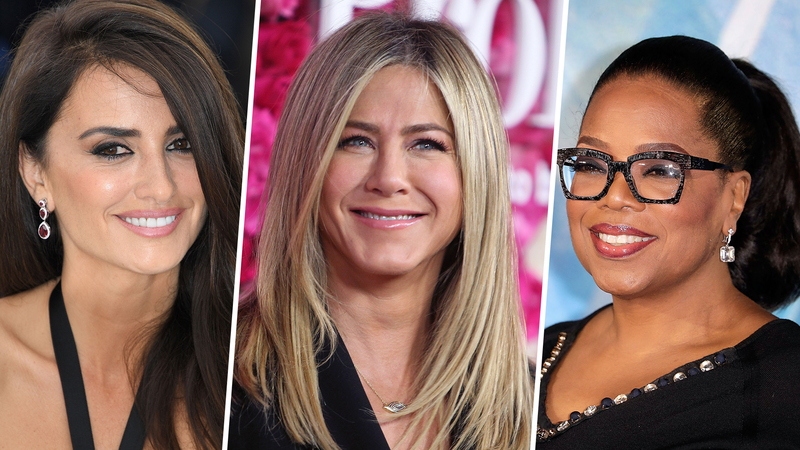 Penélope Cruz, Oprah, Gisele Bündchen and more all use this tool for success. Aniston’s morning routine has a fixed meditation moment each day at 8:30 a.m. “There’s usually some sort of meditation at that point. Usually 20 minutes, or 10 if I can’t get the full amount of time in. It’s a set [Transcendental Meditation mantra] that I do every time,” she says. You can make meditation a part of your mornings, too. It’s refreshing to start the day by taking a few moments of stillness before you jump into checking your social media. She says that meditation helps regain that stillness. “It’s a sad and confusing predicament to be lost in the world — I know, because I’ve experienced time and again what that disconnectedness feels like. You start believing what the world has to say about you, whether it’s the world in your head or the world outside. That outside world is constantly trying to convince you you’re not enough. But you don’t have to take the bait. Meditation, in whatever form you choose, helps you resist. What I know for sure, and have had to learn through much trial and error: The voice that truly matters is the silent voice of awareness, consciousness, aliveness,” Winfrey says. The supermodel and best-selling author told Arianna Huffington during the Thrive Global Podcast that meditation “gave me a new life” while battling extreme panic attacks during her early twenties. “Meditation gave me the opportunity to be aware of a new world I didn’t know existed, and gave me the understanding that there was a place that no one could take away — that it was my own personal, sacred space that existed within myself, and all I needed to do was quiet my mind and go inward and connect to that,” she says. If 20 minutes feels like a tall order, and you’re a meditation novice, know that it’s also possible to feel energized with a moving meditation, like running in the park, or taking a yoga class. Kerr shares her meditation experience with her son, Flynn. “When he sees me meditating, he’ll come sit by me, just feeling the energy. He won’t stay for the whole 10 or 20 minutes, but he’ll join me for a bit,” she says. “Every night before Flynn goes to bed, we’ll also do a guided meditation that will put him to sleep. I have a few on my phone and he’ll pick the one he wants. He’ll just be like, ‘I want this one! '” Everyone can benefit from meditation, no matter your age. Kendall Jenner recently opened up to Allure about how after breaking through her initial skepticism about transcendental meditation and learning about it from a teacher, she began “to see such a difference in” the state of her mental health. But while the model admits that she does “still have moments of panic attacks and anxiety,” she describes the changes she’s noticed since beginning this process: “I haven’t had one (panic attack) in at least a year. Knock on wood and I have been pretty good and pretty steady. It’s become such an important thing for me, and I definitely find myself in moments where I’m like, ‘I need to sit down. ‘Cause I’ll go a couple of days or weeks without meditating, and I know that is wrong for me, I know I need to do it,” she told the publication. “Do meditative yoga for 10 minutes every morning. When you have a problem — whether it’s road rage, your guy, or work — meditation allows everything to unfold the way it’s supposed to,” the actress told SHAPE in 2010. On top of the mental boost, yoga boasts health benefits, such as easing chronic pain. Gisele Bündchen Swears by Her 20-Minute Daily Meditation Ritual. Here’s Why.